One of the most desirable states to live in the United States is California. Unparalleled access to nature and progressive lifestyle and business culture are some of the top of mind reasons why people are proud to live in this state. Who could forget, that this is the state that is home to Apple, Google and Hollywood! California is the home of movie stars and dot.com billionaires. Nowhere is American enthusiasm, ingenuity and optimism still more alive than in the state of California. The state, however has had its share of financial problems and was hard hit by foreclosures and dropping home values over the past few years. Even with recent problems, home values in CA are still some of the highest in the country. As of 2013, the average home value sits around $400,000, representing a 20% increase over 2012. Your home in California won't come cheap, but RateZip.com can help you find an affordable mortgage to make living in this beautiful state just a little bit easier. Los Angeles is both the largest city in CA and the second largest in the United States. The City of Angels is home to Hollywood, basketball's Lakers, and many beloved tourist attractions. The LA economy includes the entertainment industry, high technology, tourism, and international trade. San Diego, the second largest city in California, is frequently cited as one of the best places to live in the United States. The city is a large hub for the military and defense contracting, and it's estimated that about 5% of the city's population works in a job related to the US military. The economy also relies on trade and tourism. San Jose, the largest city in NorCal (Northern CA), is sometimes referred to as the capital of Silicon Valley. Indeed, the city's ties to the tech industry run deep: top employers in San Jose include IBM, Cisco, eBay, Samsung. San Jose is also home to the National Hockey League's (NHL) San Jose Sharks. Known as the City by the Bay, San Francisco is one of the most beloved American cities, and tourism is vitally important to SF's economy. Popular landmarks include the Golden Gate Bridge and Alcatraz. There are a number of well-known tech companies located in San Francisco such as Twitter, Craigslist, and Salesforce. Although it's a large city, Fresno is not nearly as well known as the four other California cities that we've already mentioned. The areas surrounding Fresno are heavily involved in agriculture. In the city itself, the largest employers are the City of Fresno, Saint Agnes Medical Center, and Kaiser Permanente. Don't worry if you're feeling a bit overwhelmed - you can use RateZip to compare offers form these and other financial institutions to stop for your mortgage, auto loan, certificate of deposit (CD), and more! If you take out a fixed rate loan, you will have the same interest rate, and thus the same payment, over the entire life of the loan. These are the most popular loans in America by a large margin, with the 30 year fixed being the most common. You can also obtain a mortgage that matures in 10, 15, or 20 years. Also known as ARMs, these loans begin with a low "teaser" rate and then adjust every year over the life of the loan, which is typically 30 years. Popular ARMs include 1/1, 3/1, and 5/1, where the first number represents how long the teaser rate will last and the second signifies that the rate will then adjust annually. 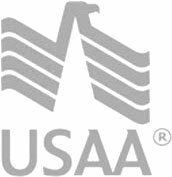 These are mortgages backed by the federal government - either the Federal Housing Administration (FHA) or Veterans Administration (VA). The FHA is geared toward making homes more affordable for lower income borrowers or those with imperfect credit, while the VA's goal is to help veterans achieve the American dream of homeownership. Jumbo mortgages, which are loans for homes with higher than average values, are particularly relevant to California, where the average home value is $400,000.